Feature Photo: A.D. THE BIBLE CONTINUES © 2015 LIGHTWORKERS MEDIA, LLC. ALL RIGHTS RESERVED. Today, on Ash Wednesday, Christians all over the world observe a day of reflection and penitence—the first of 40 days leading up to Easter Sunday. And as I reflect, I can’t help but think of my own relationship with Jesus, and the opportunities I’ve had to see his love and grace in action. For years, I played an angel on the TV show “Touched by an Angel.” At the height of its success, the series had over 20 million viewers. Our show took a simple premise: that there is a God, that He loves us and that He wants to be part of our lives. As the angel Monica, I had the opportunity to be the messenger and share God’s love with millions each week. But I never imagined I would get to use my career as a producer to tell the story of the life of Jesus. I certainly never imagined that I would get to do this three times. To have that opportunity has been an undeniable kindness from the Lord. As I worked to help bring these stories to the screen, I prayed my way through every step of the journey, seeking guidance and direction from the One whose story I hoped to honor. 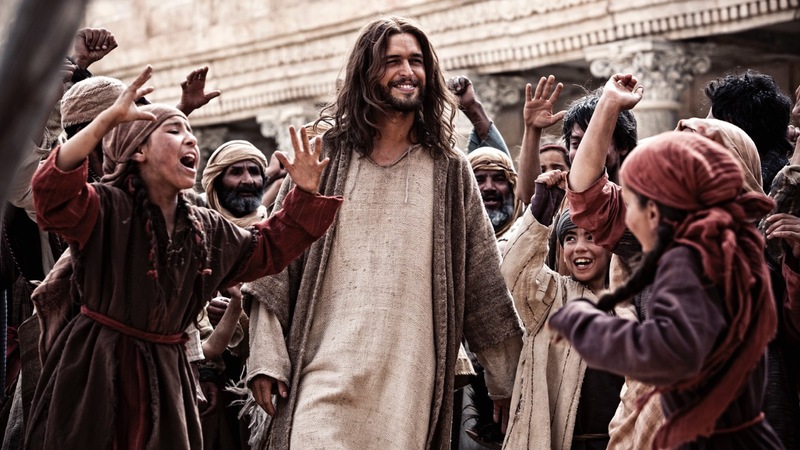 One of the main focuses of my prayers was the challenging task of finding the right actor to play Jesus. It was vital that we find a man with the right balance of strength of character and gentleness of spirit, an actor both brave enough and humble enough to take on the role. 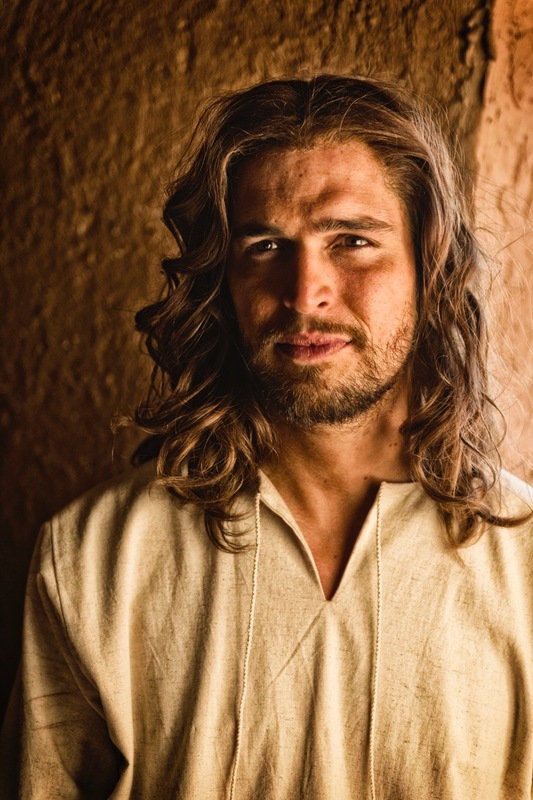 Diogo Morgado as Jesus. THE BIBLE © 2013 LIGHTWORKERS MEDIA, LLC. ALL RIGHTS RESERVED. 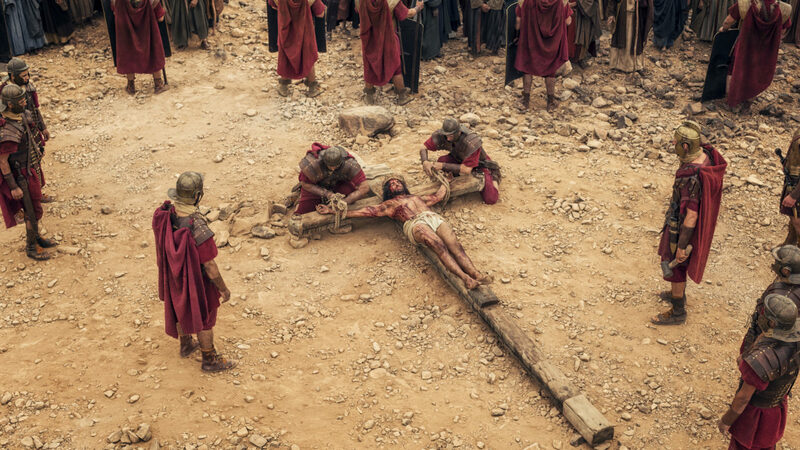 In “The Bible” series and the film “Son of God,” Diogo Morgado played the role of Jesus—and Juan Pablo Di Pace took on the role for “AD the Bible Continues.” Finally, in the remake of the classic film “Ben-Hur,” we worked with Rodrigo Santoro—all extraordinary actors who beautifully played this extraordinary role. With wonderful teams, full hearts and my husband Mark by my side, we lovingly oversaw the story, scene by scene. We shot twice in Morocco and once in Italy—each time I deeply invested my own heart, as I have loved Jesus my whole life. Jesus is an iconic figure and the whole world has an idea of what they think Jesus should look like, sound like or act like. For our actors, there were great emotional, spiritual and physical demands to playing this role. 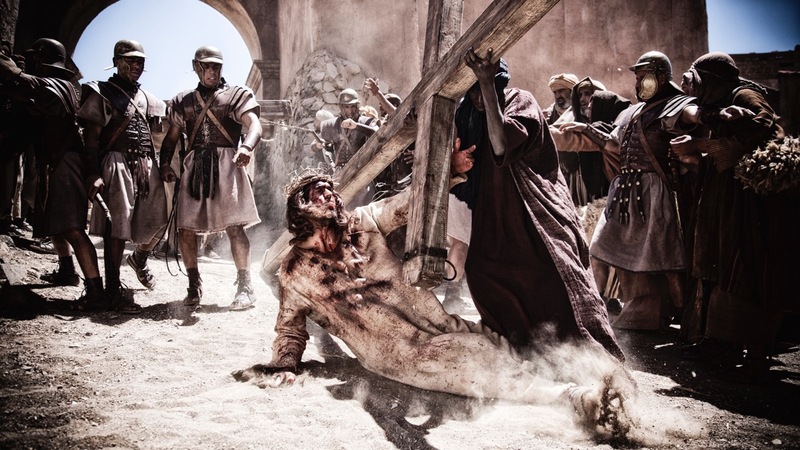 For example, I can only imagine that getting ready to act in the crucifixion scene is daunting for any actor—especially when adding the additional challenges of a grueling schedule and extreme climate of scorching sunshine, extreme wind or freezing temperatures. 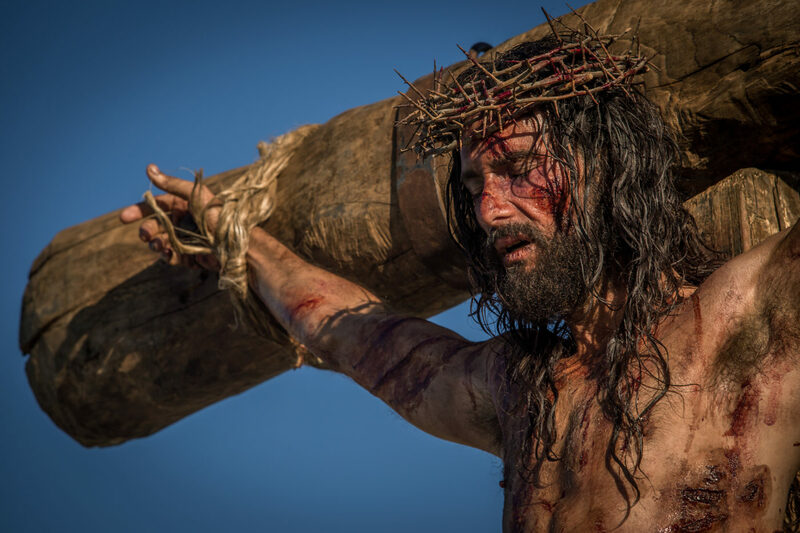 These brave actors all had to courageously dig deep inside themselves to portray the love and courage of Jesus Christ. 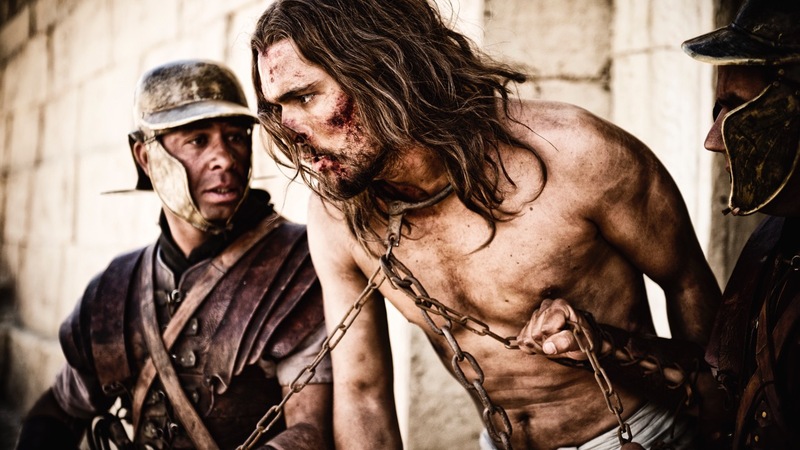 Diogo Morgado: Yes, it was immensely humbling playing Jesus—and the pressure I felt was the one I was putting on myself, feeling the importance and the responsibility of what lied ahead—but I can´t say it was scary. I always felt it was a process of love and that feeling comforted me. I knew that embracing my flaws as a human being was part of the process of forgiving myself just like Jesus would forgive me. I did my very best to be available to his unconditional love for us; I tried to transfer that love and compassion through words, and gestures, and silence and the way he looked at people. 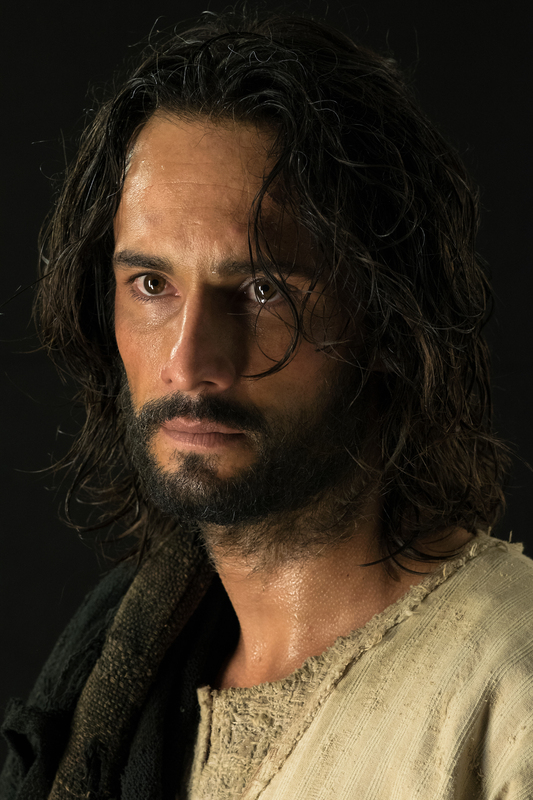 Rodrigo Santoro as Jesus. BEN-HUR © 2016 METRO-GOLDWYN-MAYER PICTURES INC. AND PARAMOUNT PICTURES CORPORATION. ALL RIGHTS RESERVED. Juan Pablo Di Pace: The most revealing thing about it was that I felt accepted as a human being just by being given the chance. We all have our own demons and struggles, and acceptance was my cross… Being able to step into Jesus’ sandals, I knew I had this responsibility and real purpose. In preparation for the role, I experienced grace while in the Sahara Desert, when I took a few days prior to filming to go into solitude and ask “How will I do I this role justice?” The peace I felt under the stars, surrounded by sand and wind, was mind-blowing. Something was giving me massive strength for the task at hand, some divine energy that felt calming and exciting. I decided to let him work through me, to be a channel for him. And to this day, I remember very little about how I played him; I only remember being open to whatever he wanted to say through me. 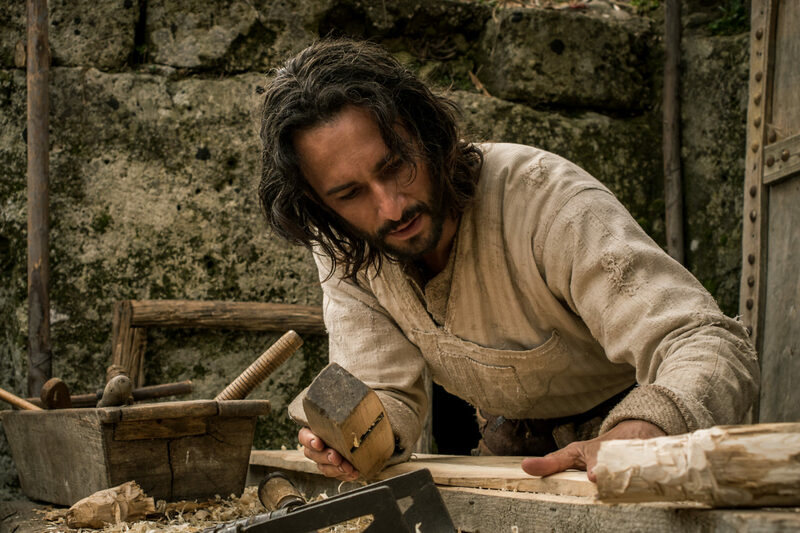 Rodrigo Santoro: During the preparation process, besides all the research, I put myself through a very intense yoga and meditation practice. Which, as a result, centered me and allowed me to have a deeper access to my heart. I spent all the time I had diving vertically within, looking for the most loving place I could find inside myself. Once I found it, I tried to live there as much as possible. Not easy. We are imperfect humans. What I could say I have learned about the truth of “grace” is that the deepest we can get into this place of pure Love we all have inside ourselves, the closest we will be to the true essence of life. LW: How did playing Jesus impact your life? Did people react to you differently in that role than other roles you have played? DM: I think before playing Jesus, I was myself a bit disconnected from my own spirituality. Having to go back to the Bible and fully immerse myself in the gospels, and knowing what Jesus did for us—the way he loved us and how God gave us His only son to wash away our sins—brought me back to a different sense of awareness of the world. People do react differently to me since portraying Jesus. I´ve been working as an actor for 20 years now but this did not feel like just a job. This was something beyond special, something unique. 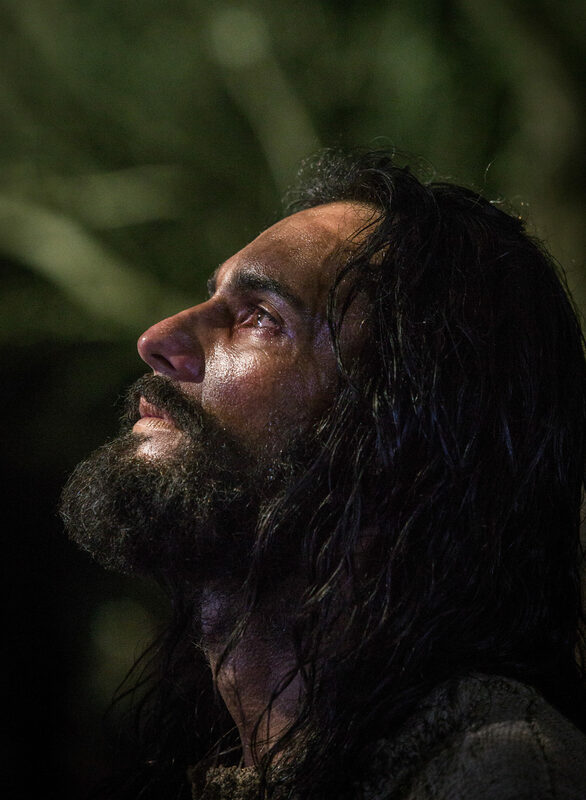 JP: Playing Jesus was certainly the most inspired and challenging role I ever played, and in turn, the most fulfilling. I remember the days on set as the most profound in my career simply because it felt like I had been given this beautiful gift to look through Jesus’s eyes. I felt privileged to tell his story and make him real, which was the most important thing to me, his humanity. 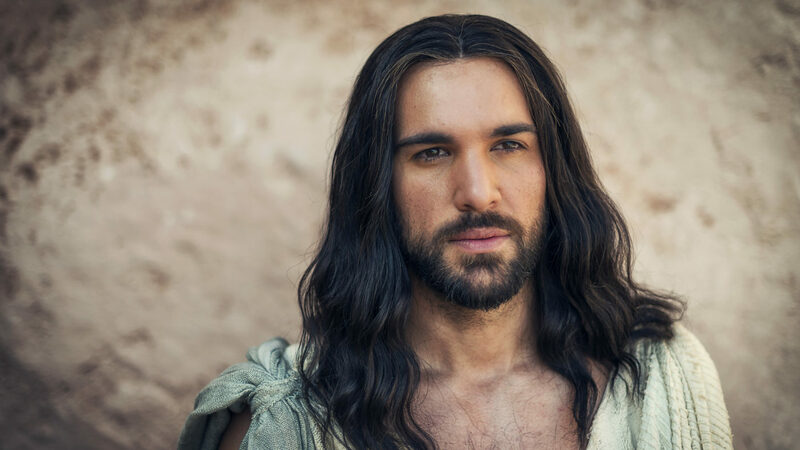 Juan Pablo Di Pace as Jesus. A.D. THE BIBLE CONTINUES © 2015 LIGHTWORKERS MEDIA, LLC. ALL RIGHTS RESERVED. 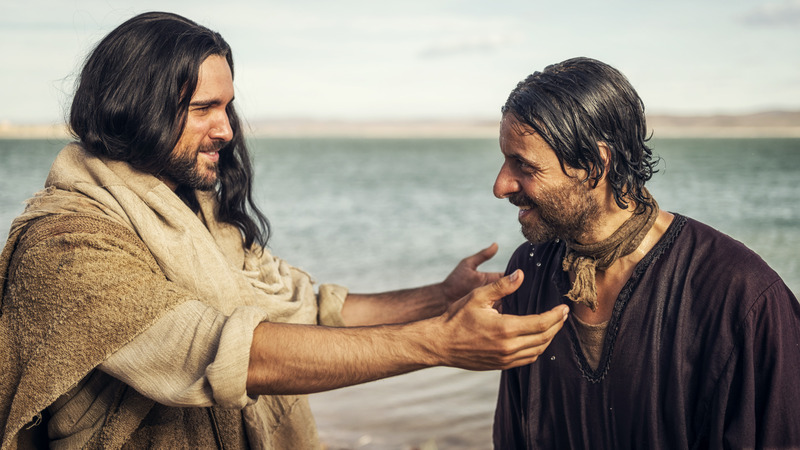 RS: It is really hard to measure how much the experience of playing Jesus has transformed me. I would say that it not only changed me but made me question a lot of things about myself and others. It is impossible to go through playing Jesus without being deeply touched by his love, his heart. Yes, people reacted much more emotionally to this role. Even to me, when I think about it, I cannot compare to any other role I have played before. Playing Jesus is at the same time the biggest challenge and the biggest gift I ever received. I will always be grateful for this unique experience. LW: Playing the role of Jesus is truly unique in that you become part of the spiritual experience of viewers. Do you have a favorite story from a fan of how your role as Jesus impacted their life in a meaningful way? Can you share one with us? DM: It’s true that playing Jesus was one of the most important experiences of my life. It not only changed me as a person and the way I view the world, but I was touched at how many people reached out to me. I know how important and meaningful this was to lots of people and it really impacted their lives. The most beautiful thing is when people tell me that seeing this portrayal of Jesus helped them regain their spirituality and the sense of peace and love towards others. JP: When the show aired, I started receiving letters from strangers. The love was immense and I was the one feeling the impact of the effect my portrayal of Jesus had on the world. I remember getting messages from people in the Philippines, Thailand, Russia saying how much they loved our scenes of the Passion, how they felt the reality and grittiness of them. RS: Overall, I received a lot of love from the viewers, a really wonderful response. 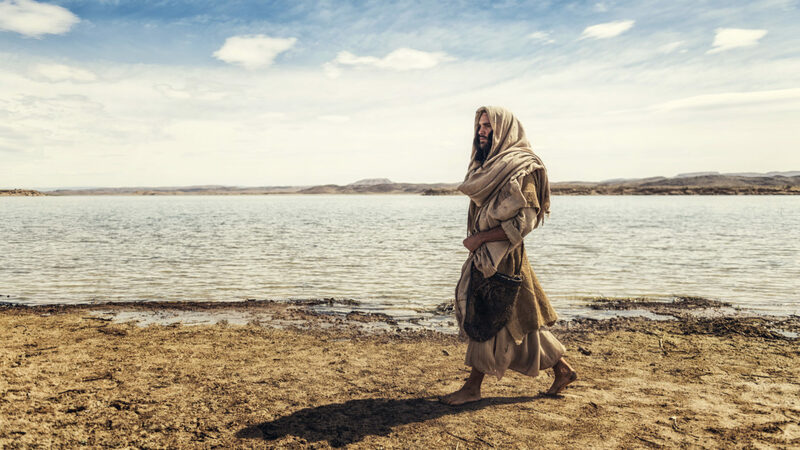 And what I believe was a real point of connection between viewers and the character was that, in our film, Jesus was portrayed with a lot of humanity, and this made him very relatable. Roma Downey shares a personal story of God’s unexpected comfort and hope in the midst of heart-breaking loss. Even in grief, we can always look for the blessing.